Although this might sound pretty extreme, these statements start to make a lot of sense once we acknowledge some of the lifestyle changes that have taken place all around us in the past 100 years. The fact is that man, like every other animal, was meant to live in nature, have plenty of fresh air, and be involved in enough physical activity to keep the body fit and vital. Technological and economic advancements, however, have led us to an increasingly sedentary lifestyle, which now requires dedicated physical exercise to keep our bodies healthy and strong. Progress over time has led to less and less movement on any given day. In general, people now perform most of their day-to-day tasks with little physical effort. The good news is that you tend to get more done in a day. The bad news is that the need to move is being removed, little by little, from your daily routine. 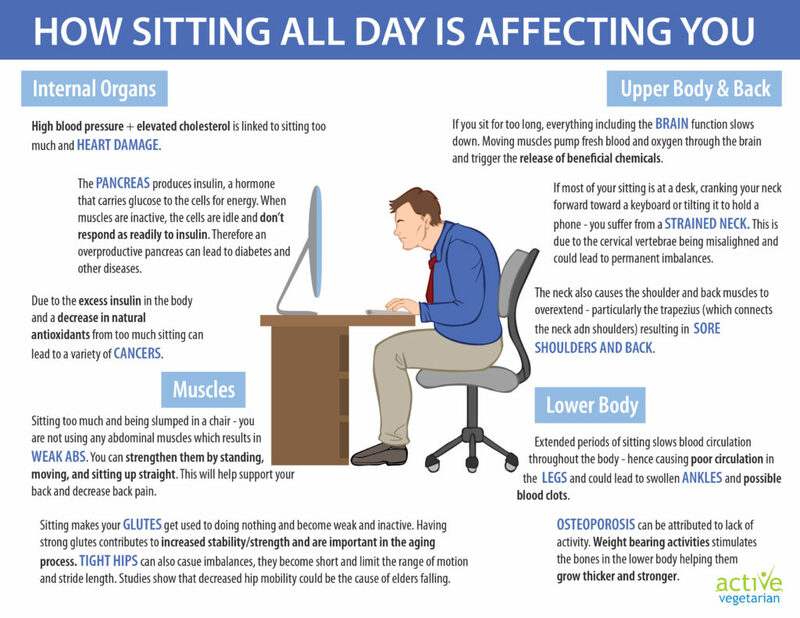 While a brief period of sitting here and there is natural, long periods of sitting day-in and day-out can seriously impact your health and what’s even worse, shorten your life! There are at least 24 different chronic diseases and conditions associated with excessive sitting. This includes a huge increase in the risk of type 2 diabetes and an equally alarming increase in developing heart disease. Other negative implications of the “sitting disease” include a greater risk for colon, breast and endometrial cancers. The reason is unclear, but one theory is that excess insulin encourages cell growth. 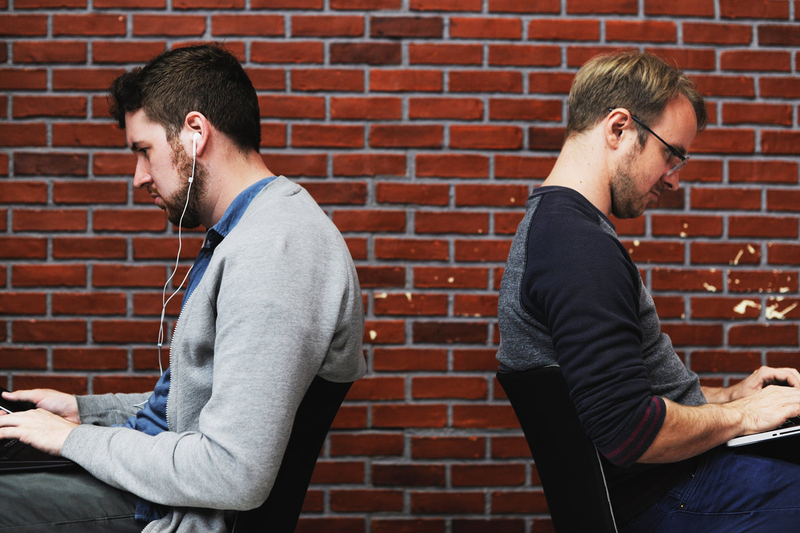 Prolonged periods of sitting have also been linked to high blood pressure and elevated cholesterol, and people with the most sedentary time are more than twice as likely to have cardiovascular disease than those with the least. While regular exercise is always recommended, it can’t completely offset all the health risks of sitting too much. So in other words, dedicating time every day to exercise is important, but it is not the only answer to ensure good health and it definitely doesn’t give us a license to just sit the rest of the day. In addition to doing your regular physical activity, we lovingly encourage you to “sit less”. The first step is to be aware of your sitting habits throughout the day. Then find ways to reduce your sitting time. Below you will find several strategies for you to consider. These suggestions are simple but powerful ways to help you sit less and move more. The best part is that doing these things doesn’t take extra time, these are easy ways to integrate healthy movement into your regular life. Park far away and take the stairs. Make phone calls while pacing, rather than sitting down. Walk to a coworker’s desk instead of emailing or calling. Visit the restroom on a different floor and take the stairs. Go for a walk outside during your lunch break. Walk briskly when heading to meetings. Instead of booking a conference room, have “walking meetings” at work when meeting with small groups. We realize how easy it is to get lost in your work and forget to move. 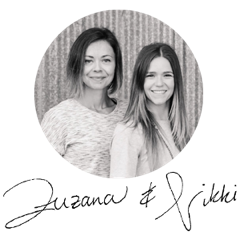 Since deciding to make Active Vegetarian our main focus (a couple of years ago), we played around with different sitting positions, found ways to stand and work, but one thing that helped a lot was setting a timer to remind us to move. Simply set a reminder alarm on your phone or computer that goes off every hour and don’t ignore it. Take at least a five-minute break. During this time, you can walk, stand or take the opportunity to do a few simple exercises by your desk. For a video demonstrating simple exercises as well as great alternatives to sitting in a chair, go to HOW TO SIT SMARTER, HEALTHY ALTERNATIVES TO YOUR OFFICE CHAIR. Walk or bike to your destination instead of driving. Get a pedometer and start tracking your steps. Progress up to 10,000 steps or more a day. Walk or run as your kids ride their bikes. Instead of sitting, walk around while watching your child’s sporting event. Take a walk when you are frustrated or bored (instead of eating). Go for a walk with a friend instead of meeting for coffee. Turn on the music and dance around the house. Take your dog for a walk (if you already do this, try making the walk longer or faster). Walk through your golf game instead of driving a cart. Walk up and down escalators instead of just riding them. Try standing and moving whenever you are talking on a cell phone. Now, we are not suggesting that you should never sit down and relax. Just be mindful of how you spend your days, try to minimize the time you spend sitting and include more smart movement into every day. Please know that minimizing sedentary time is just as important for optimal health as a nutritious diet and regular exercise. When you Move More every day, you can reach some pretty big goals over time. With some self-awareness, discipline and dedication, your small daily movements can add up to huge strides.